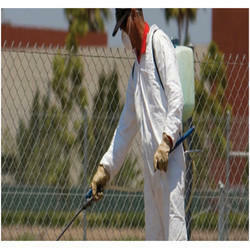 We are the leading service provider of Pest Control Service. There are quite a few pesticides out there that will help you keep spiders away from your loved ones is Spider Pest Control. The most important thing to keep in mind is the application points. When you’re going around the outside of your house, make sure you hit corners and all points of entry. Spiders will come in through the cracks around your doors and windows, so you will want to treat each of them. Other points of entry that you will want to spray include exhaust vents, decks, cable entry points, air conditioning connections, and the foundation. Farther away from the house, you will want to put down granular poisons in wood piles, bushes, shrubs, and other areas of clutter that might harbor poisonous spiders. Inside the house, spray under your sinks, along baseboards, throughout your closets, and under your appliances. You will want to pay close attention to crawl spaces and the attic. If you have spiders coming out of electrical outlets or vents, you will want to apply pesticide dust back in those spaces to get rid of spiders inside there. While you are spraying, make sure that your children and pets are out of the area, and keep them out for at least an hour after spraying, depending on the instructions for your specific product. There are many odorless products out there, so there is no reason for your house to reek of poison for hours or days after application. Most pesticides require application once a month. Owing to our expertise, we are instrumental in offering Hospital Pest Control Service that is helpful in controlling the breeding and infestation of pests. Our offered service is highly effective for protection against various diseases swelled by pests. This service is based on the IPM model recommended by Health Care without Harm and is consistent with the IPM recommendations. We also know how important it is for our provider to interact with patients and staff for reliable communication to make sure that Pest Specialist is working together toward the best results. We understand the importance of meeting Joint Commission requirements and help your facility to minimize the risk of exposure to chemicals, reduce pest activity and train your staff on proper preventive pest control tactics. We also know how important it is for your provider to interact well with patients and staff. That’s why you can count on regular, reliable communication to make sure you, your staff and your NPCS Commercial Pest Specialist are working together toward the best results. Monitoring - During regular service inspections, your NPCS Commercial Pest Specialist monitors for signs of pest activity, looks for pest-friendly conditions and helps make sure your program is working. Documentation and Communication – After each service, your NPCS Commercial Pest Specialist documents all services performed, pest activity and any recommendations. As pest is the most common problem in the hospitals faction, therefore our dexterous professionals help us render qualitative Hospitality Pest Control Service. We use highly effective pesticides that help in controlling pest growth without having any harmful effects on humans. This service is designed in such manner that this can provide effectual and long term freedom from pest. We ensure to provide this service to our clients in timely and cost effective manner. It takes just one bad review to ruin your company’s reputation. In a climate of outspoken customer feedback and instant online reviews, it just takes one infested room to stain your property’s hard-earned reputation and negatively impact your revenue. That’s why your pest control partnership is so critical. When you choose NPCS, you get more than the most respected pest management name in the country; you get the experience, knowledge, training and service needed to help protect your property’s occupancy, and your bottom line. Monitoring – During regular service inspections, your NPCS Commercial Pest Specialist monitors for signs of pest activity, looks for pest-friendly conditions and helps make sure your program is working. We are the leading service providers of Food Processing Pest Control Service that is organized for food processing, packaging and storage facilities to provide an effective and well-documented pest management program. Offered services are rendered by a team of our experienced professionals as per the prevailing market development. These services are extensively acclaimed for their timely execution, flexibility and hassle-free management. Further, these services help to meet and exceed the requirements of auditors like AIB International, ISO, HACCP, etc. 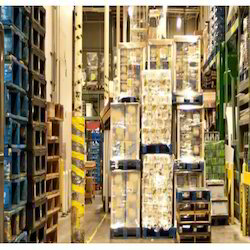 For food processing, packaging and storage facilities, an effective and well-documented pest management program is fundamental. We understand that. NPCS is designed specifically to help you meet and exceed the requirements of auditors like AIB International, ISO, HACCP edc. Our service will include comprehensive, onsite documentation, and with our reporting system, you’ll have instant online access to a variety of service reports, customized to fit your needs. When audit time comes, your NPCS service team can be on site to answer questions and otherwise assist with the pest control portion as needed. We’ll also provide you with pest control reminders ahead of your audits, so you can be prepared for your auditor’s visit. The bottom line: we want to make sure you succeed. We understand pest management challenges are unique to every commercial environment, so our products and services are tailored to your industry. Let us work with you to develop a customized Integrated Pest Management (IPM) program that meets your specific needs. Effective pest control is a process, not a one-time event. NPCS Integrated Pest Management (IPM) approach is a collaborative and ongoing cycle of three critical activities that help keep pests in their place. Cookie-cutter pest management solutions are ineffective. Your NPCS Commercial Pest Specialist continually works with you to develop a customized solution to suit your unique needs. We are counted amongst as the foremost Food Handling Equipment Pest Control Service providers. This service is specifically designed for food processing units, warehouses, restaurateurs, etc. The service provided by us help on keeping pest away by creating a barrier to pest entry with the help of light traps, jar traps and odour-control techniques. Our professionals understand the management challenges and provide this service in perfect manner. Developed with the help of restaurateurs, NPCS program offers comprehensive pest management so you and your staff will be ready for the health inspector’s next visit. A Customized Program Designed to Keep Pests Out. We understand pest management challenges are unique to every commercial environment, so our products and services are tailored to your industry. First we inspect, identify and evaluate all the underlying reasons pests infest your facility. Comprehensive inspections — We detect any sanitation issues or structural conditions conducive to pests. Being a reliable service provider, we are offering our customers Office Pest Control Service, which is designed to provide complete freedom from pests like cockroach, mosquitoes, flies, etc. 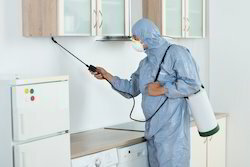 This pest control procedures is depend on the size of the area infected and personal choices of clients. By following advanced techniques and using highly effective pesticides, our experts ensure proper control and elimination of flies. Keeping in mind environment safety, we render this service to the clients at cost effective rates. You don’t let just anyone lease space in your property. You want tenants whose reputations add real value. Shouldn’t your pest management provider’s reputation do the same? As one of the most respected pest management providers in the country, NPCS understands the unique challenges facing office properties. When you choose NPCS, you don’t get pest control professional. With the help of our professionals, we have been able to offer our clients School Pest Control Service. We use advanced techniques and highly effective pesticides to eliminate pest present in schools and also ensure to prevent their return. Our professionals make sure to spray the pesticides in the hiding place and force them to come out. We have set very reasonable price for providing this highly efficient service. We understand the unique challenges facing your school. We also know that a smarter, specialized approach can reduce pesticides and support your broader environmental initiatives. We have emerged as a force to reckon with in the domain of pest control, engaged in offering our clients Industrial Pest Control Service. Our offered service is highly demanded in domestic, institutional premise, public buildings, hospitals, hotels, restaurants, etc. Further, our experienced professionals are backed latest spraying equipment and optimum quality pesticides, which ensure 100% elimination of pests. Our offered service is highly demanded for its reliability, effectiveness and timely-execution. No matter what business you’re in, your company’s buildings or manufacturing facilities have unique requirements related to physical layout, sanitation regulations, maintenance and storage practices. Your NPCS Commercial Pest Specialist will assess your unique pest challenges and work with you to determine the best way to help prevent pests in your establishment, based on your specific needs. Every aspect of our service is thoroughly documented and we work with you during scheduled onsite meetings to make sure you are completely satisfied with your NPCS Integrated Pest Management (IPM) program. Backed by our years of industry experience, we are betrothed in presenting an excellent quality of Pest Control Consultancy. The offered control consultancy includes applying of gel, spraying of chemical, fumigation / fogging, high air pressure treatment, heat treatment, and spreading of crystal chemical. Our team is equipped with advanced machines and knowledgeable professionals. 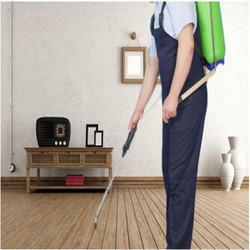 Such qualitative team helps in cleaning the area from all kinds of pests. Apart from this, clients can get the control consultancy from us at cost effective rates. We are successfully ranked amongst best service providers of excellent quality Residential Pest Management Service. Our offered services are rendered by our highly skilled professionals, possessing enormous industry experience and knowledge in their respective domain. These professionals closely interact with the clients and in accordance with their requirement plan and further execute their services. Furthermore, these services are imparted by NPCS Commercial Pest Specialist, operations management, support staff and quality assurance professionals. You work hard to protect your property’s reputation and attract residents. Once people move in, you work just as hard to keep them happy. Having pests in the picture makes all of this a lot harder. The good news is NPCS can help. NPCS prides itself on keeping open lines of communication with you, your staff and your residents. We document all services provided by your NPCS Commercial Pest Specialist, operations management, support staff and quality assurance professionals, and we check in with your staff on an ongoing basis. We are a highly renowned company that helps clients to get rid rodent by offering Retail Pest Control Service. As pest can cause huge damage to houses and stored commodities, so our professionals help our clients to solve the problems of pest control in effective manner. This service is extensively demanded by our clients and is offered at industry leading rates. In this service we detect any sanitation issues or structural conditions conducive to pests. As a retailer, your business is built on making a good impression on customers every day. A pest problem can seriously jeopardize that relationship. In addition to being repulsive to shoppers, pests carry numerous harmful bacteria such as E. coli, salmonella, shigella and staphylococcus that can threaten the health of customers and staff. The retail environment will always be vulnerable to pest infestation ­ constant deliveries and heavy foot traffic in and out of the store mean pests can arrive at any moment. But NPCS can help. Our customized NPCS Integrated Pest Management (IPM) programs factor into account your space layout, regulatory needs and maintenance and sanitation practices to deliver scientifically based pest solutions.